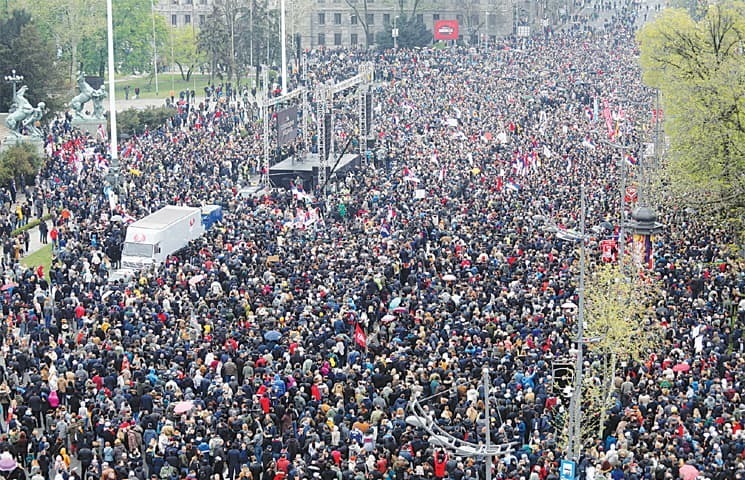 Serbia, thousands of people rallied in capital Belgrade yesterday against President Aleksandar Vucic. Protesters accuse the regime of corruption and oppression of media freedoms. Protests are held weekly in the Balkan country since December against what critics describe as Vucic’s slide towards autocratic rule. Vucic, an ultra-nationalist-turned-pro European has, however, rejected claims he has become autocratic. Serbia, which aspires to join the European Union in 2025, was criticised by the European Commission last year over press freedoms in the country, denouncing threats, intimidation and violence against journalists. Opposition leaders said authorities sought to prevent their supporters from coming to Belgrade for the rally on Saturday.